Saint Locks can ensure your property is secured and locks are changed in the unfortunate event your home or business is burgled. As we offer a full domestic and commercial locksmithing service. You do not have to wait the hours often required, for your insurer to send their own approved locksmith out. You can engage Saint Locks immediately, 24 hours 7 days a week and reclaim your expense on your insurance policy. After all, in the event of a burglary you will want to secure your home as quickly as possible. St Locks are a local firm covering Shrewsbury, Telford and surrounding areas within Shropshire. Because we are a local firm, we can arrive quickly at any emergency call out. 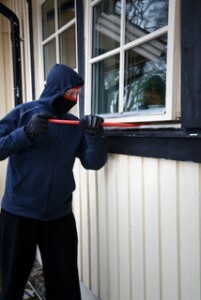 Particularly important, should you be the unfortunate victim of burglary. St Locks are fully CRB checked and insured. We are also a CHAS compliant contractor and are listed in both the Shropshire Telford & Wrekin Trade Register and full members of Shropshire Chamber of Commerce. St Locks understand that being a victim of burglary is a harrowing experience. We will secure your home or business in a highly professional and friendly manner. Helping you to feel secure again in your property.